While looking for the best interior design professionals in Miami, you might find the Caribbean city is thriving with a passion for spaces and modern decoration. Thus, it’s best to be ready when you finally meet your interior design agency. Making best of what your agent tells you and what you have in mind will ensure that both can see your ideas flourish. Remember that your interior design professional should be looking to attain your satisfaction. And by working together, you will always get a better result for your project. Home and interior design are all about ideas and space perception. The best you can do when you meet your agent is to talk about what both have in mind for the project. A Miami-based interior design agency will usually suggest the best color schemes based on tropical weather and light, easygoing furniture. Keeping that in mind, it’s important to put your foot down when you have to. It’s also important to remember that interior design agents are specialists. They know what they’re doing, so be patient and attentive to their suggestions. Nonetheless, make clear what your priorities are when working on a project. Complete makeover or just a rearrangement? The best interior design agents can work with what they have in hand. You can choose to have a room redecorated, or even a whole Miami Beach Art-Deco Estate fully revamped and ready for reselling. Or, you could hire an interior designer to just rearrange your living room in a more stylish and comfortable way. 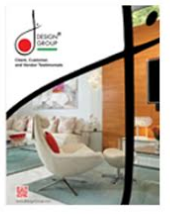 Professionals in interior design have hundreds of hours worth of knowledge. This experience allows them to quickly know where each accessory or piece of furniture would fit best in a given space. It all depends on how bad do you want to refurnish a room and how soon do you need it. All of which will test your will to see your project successfully renewed. Some interior design agents charge by the hour, while others charge travel time, shopping expenses and many other services. Get to know your interior design specialist, so there are no surprise charges when the bill comes due. Usually, interior design professionals are used to making a priority out of the client’s ideas. Also, many understand there must be feedback with the client. It is all a matter of professionalism, always aiming to hire a professional who will make your best interest a personal compromise. Just like in most projects, planning ahead of time is a great way to reduce workload for you and your interior designer. Before moving to a new location, you should allow interior designers to see the place. You could then schedule the exact dates for the developer to start working on remodeling your new condo, beach house, or mansion. What could be better than arriving at your new home with everything stylized just the way you imagined?